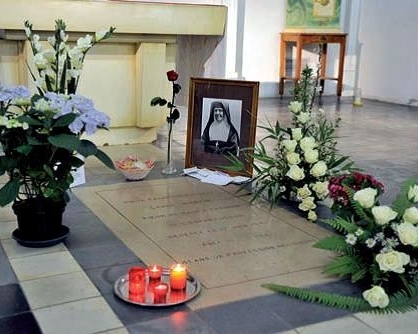 The Servant of God, Leonie Martin, Sister Francoise-Therese of the Visitation of Holy Mary, about six months before her death. "She knew how to welcome what she was. She was poorer in human qualities than her sisters (less intelligent, less beautiful, etc.). She accepted all her limitations with faith and surrender to the will of God. Léonie remained simple and humble, happy with what she was. . . . Her example means that, with what each of us has received from nature and from our parents, a way of holiness is possible for us. . . . Sanctity consists in loving and accepting the will of God. This is what Léonie lived. She loved her inadequacies. . . . She surmounted all her difficulties by faith." 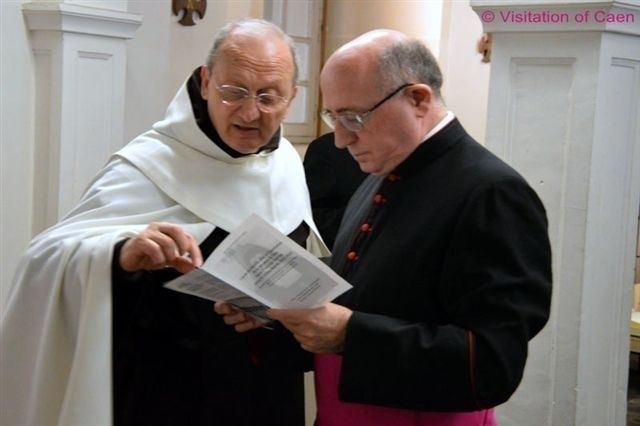 Having read the Supplex Libellus submitted on January 15, 2015 by the Reverend Father Antonio of the Mother of God (Antonio Sangalli), a Discalced Carmelite friar who is legitimately named Postulator, and by Mother Marie-Christine Cottard, Superior of the Monastery of the Visitation at Caen and “Acteur” of the Cause, in which they asked us to introduce the Cause of beatification and canonization of the Servant of God, Sister Françoise-Thérèse, born Marie-Léonie Martin (Alençon 1863-Caen 1941), professed nun of the Order of the Visitation of the Blessed Virgin Mary, who, in following Christ, poor, chaste, and obedient, with humility and the evangelical spirit of authentic charity, did not through fear, bury the one talent he had received in a hole in the ground, but instead she was able to make this small inheritance fruitful (cf. Mt. 25, 24-27. “I am happy to be only a poor little nothingness and that Jesus is my only treasure.” (Father Piat, Léonie, a sister of Saint Thérèse at the Visitation, Office Central de Lisieux, 1966, p. 198). formally all those who are aware of some obstacle, which perhaps conflicts with the reputation for sanctity of the Servant of God, to give their opinions to me or to the Postulator. Tel. 02.31.86.19.40 – http://www.la-visitation.org/les-monasteres/caen - monasterevisitation.caen@laposte.net), which will make certified and conformed copies. 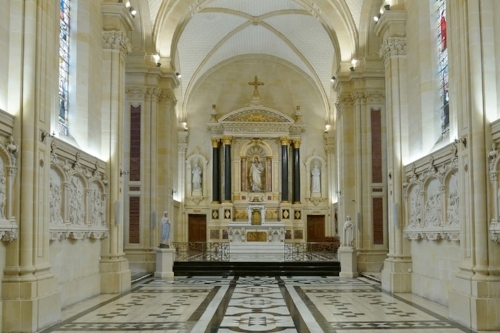 The present decree shall be read at the end of the celebration of each Holy Mass on Sunday, June 28, 2015 and shall remain affixed to the notice board of our episcopal Curia of Bayeux and Lisieux and of all the parishes, the churches, the monasteries, the convents, and the institutes of consecrated life in the diocese. It shall also be published in the diocesan journal Église de Bayeux et Lisieux, the Internet site of the diocese (http://www.bayeuxlisieux.catholique.fr/), the local journals, and the daily issues of La Croix. ON JULY 2, 2015 AT 9:30 A.M. Permission is granted to reproduce this decree in its entirety. Please include the language: "English translation by Maureen O'Riordan for http://leoniemartin.org"
We thank the Monastery of the Visitation at Caen for furnishing the Decree.